Hide your neck and eat a ton of garlic(or don’t), because the Red Death Vamp Greeter will be creeping into the night at Kathie Olivas’ SCOUT. 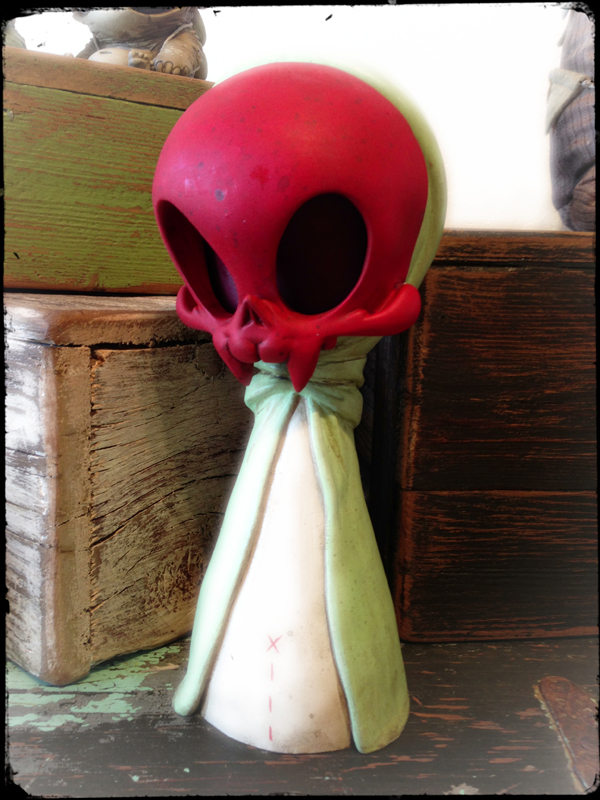 This new Skelve edition comes cloaked, with a blood red face and pointy incisors. A true sanguine creature of the night (or day, really)! We will have more info soon on the edition size and all the blood dripping juicy details, so keep checking the blog!